February 10, 2019, 6:24 PM · Congratulations to violinist James Ehnes, who won two Grammys Sunday in the 61st Annual Grammy Awards: Best Classical Instrument Solo for his recording of the Violin Concerto by Aaron Jay Kernis, and also Best Contemporary Classical Composition for the same album. 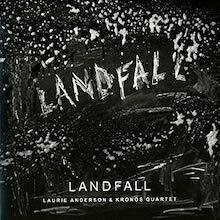 The Kronos Quartet also won the Best Chamber Music/Small Ensemble Performance for its collaboration with Laurie Anderson, "Landfall." Aaron Jay Kernis’ Violin Concerto was jointly commissioned by the Seattle Symphony, Toronto Symphony Orchestra, Dallas Symphony Orchestra and Melbourne Symphony Orchestra. The Seattle Symphony, conducted by Ludovic Morlot, gave its U.S. premiere with violinist James Ehnes in March 2017 at Benaroya Hall. 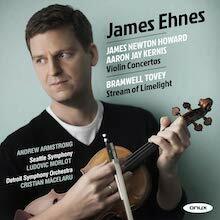 BELOW: James Ehnes plays excerpts from the Violin Concerto by Aaron Jay Kernis. February 11, 2019 at 07:40 AM · Listening to it now and it's great! Always interesting to hear where contemporary classical music is at any given time. And a contemporary Violin Concerto at that! February 12, 2019 at 09:18 PM · As the king said to Mozart, "Too Many Notes".....It appears all new vln works must contain the gamut...stratospheric range, LH Pizz, dbl stop harmonics, etc...they're all forgetting double stops on the E and G, with the bow upside down and under the strings..